Star Japanese left-hander Yusei Kikuchi will be available to major league teams starting Tuesday, with the New York Yankees expected to be among those interested. 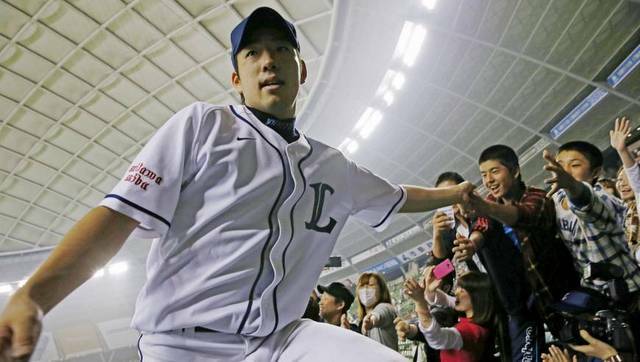 The 27-year-old Seibu Lions ace will have until Jan. 2 to sign a contract with a big league club. The Lions would then receive a posting fee based on the dollar amount of the pitcher’s contract. If Kikuchi doesn’t reach a deal with an MLB team, he remains with Seibu. Kikuchi has been very open about wanting to pitch in the big leagues for years now, and in fact he very nearly came to MLB back in 2009, when he considered signing with a team out of high school rather than going through the NPB draft. NPB eventually persuaded him to stay in Japan, unlike Junichi Tazawa, who did jump to MLB rather than pursue an NPB career. The 27-year-old Kikuchi was arguably the best pitcher in Japan the last few years, and no, he is not a two-way player like Shohei Ohtani. He is a pitcher only. Kikuchi threw 163 2/3 innings with a 3.08 ERA and 153 strikeouts in 23 starts this season. Yankees owner Hal Steinbrenner said last month that he was aware of Kikuchi’s ability. Kikuchi joins a free-agent class dominated by left-handed starters. Dallas Keuchel and Patrick Corbin are the best available free agent starters and J.A. Happ might be third best. Kikuchi is at least three years younger than each of those guys, and he could very well come on the most affordable contract.